On December 24, 2018, at reception room, Sirikunakorn Building, 6th floor, Assoc. 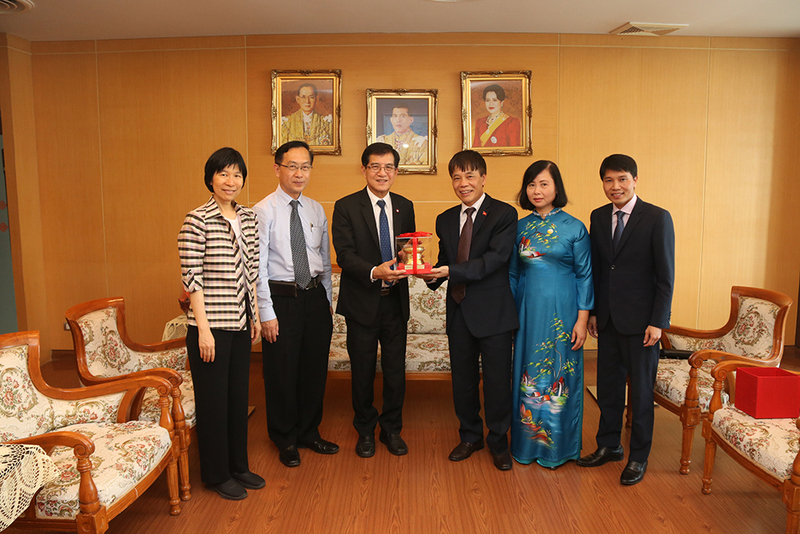 Prof. Dr Kittichai Triratansirichai, President of Khon Kaen University together with Assoc.Prof. Charnchai Panthongviriyakul (MD), whose is going to be the next president of Khon Kaen University, Assoc. 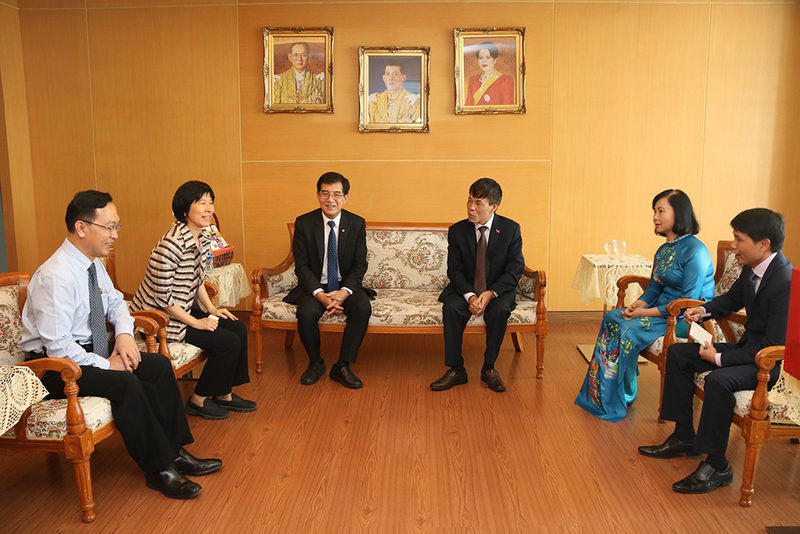 Prof. Dr.Nawarat Wara-aswapati Charoen, Vice President for International Affairs, and IAD staff welcomed Excellency Mr.Hoang Ngoc Son, Consul General,the Socialist Republic of Vietnam in Khon Kaen together with Mrs.Nguyen Kim Phuong, Madame of Consul General and the delegate to introduce himself and discuss further academic collaboration. Mr.Hoang Ngoc Son wished to President of Khon Kaen University all the blessings of the New Year and wish KKU gain more development and successful of education, also thank you for taking good care of Vietnamese students who have come to study at Khon Kaen University. 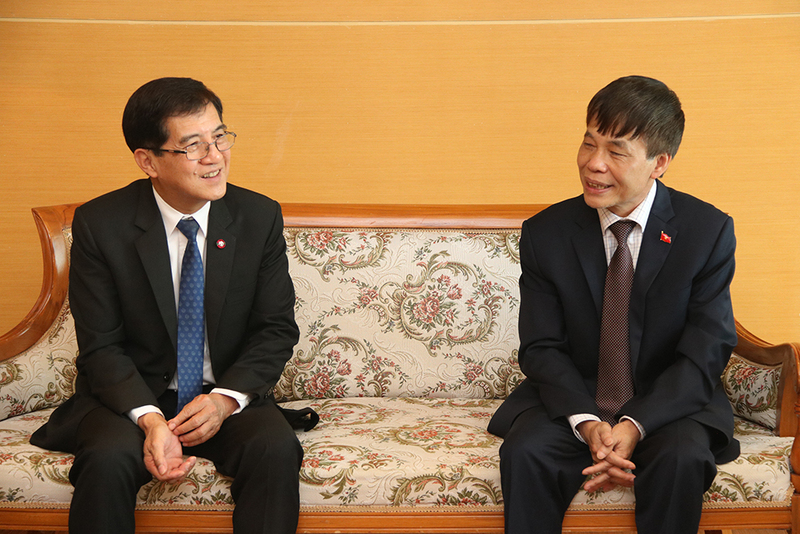 Moreover, Mr.Hoang Ngoc Son proposed to explore the possibilities of future collaborations on student and staff exchange and joint research between Khon Kaen University and Universities in Vietnam.